Using the internationally acclaimed FourSight Thinking Profile™ this workshop introduces you to the FourSight Thinking System™. You will discover how you personally engage in the creative problem solving process, and how greater awareness of individual thinking preferences strengthens a team’s capacity to problem-solve, innovate, and get the job done. 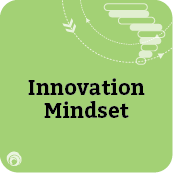 Follow up this course with Innovation Toolset to learn the collaborative tools that will help you navigate the innovation process with your team.